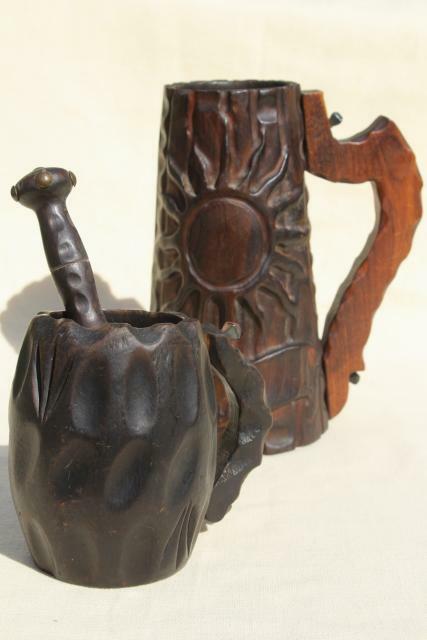 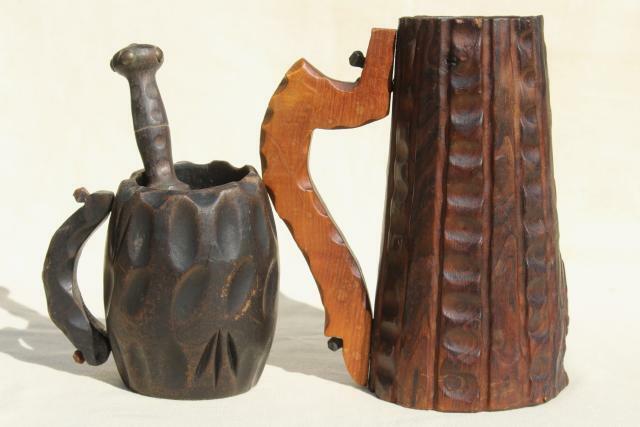 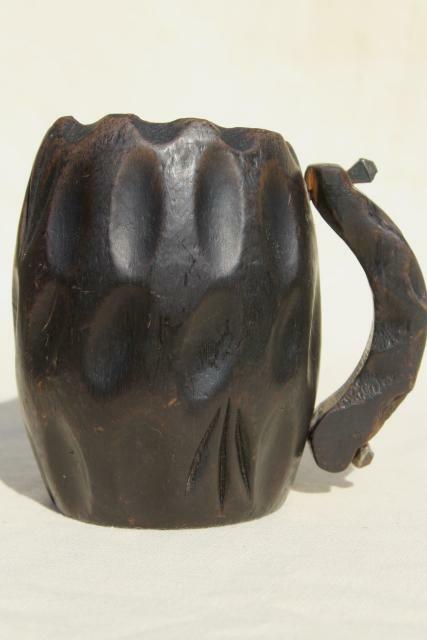 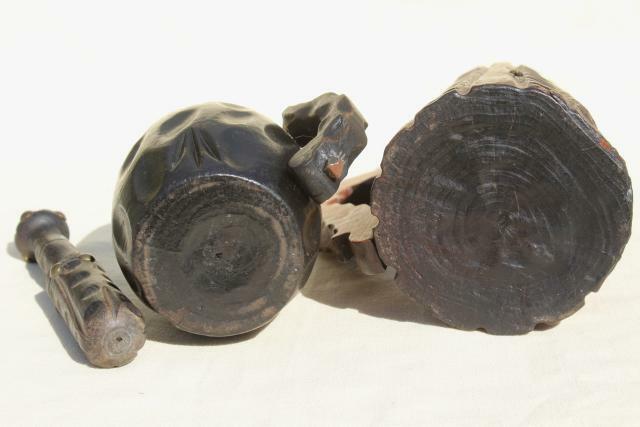 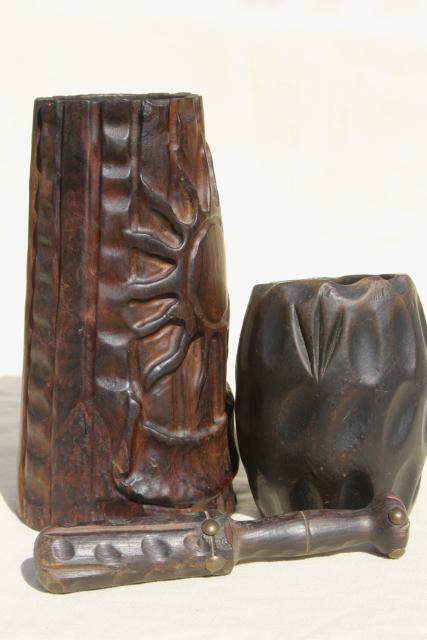 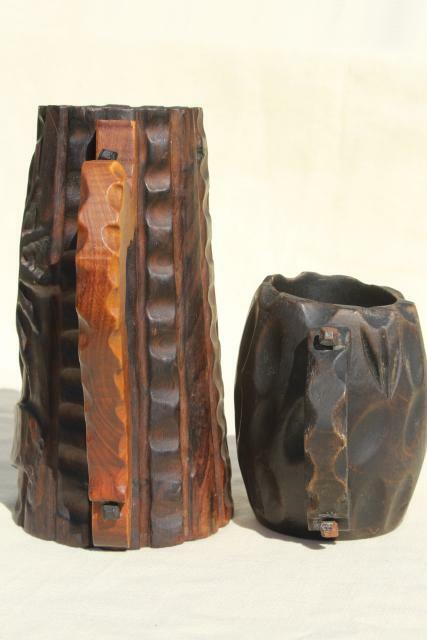 Handmade carved wooden mugs and muddler or pestle, 1970s, made in Spain. 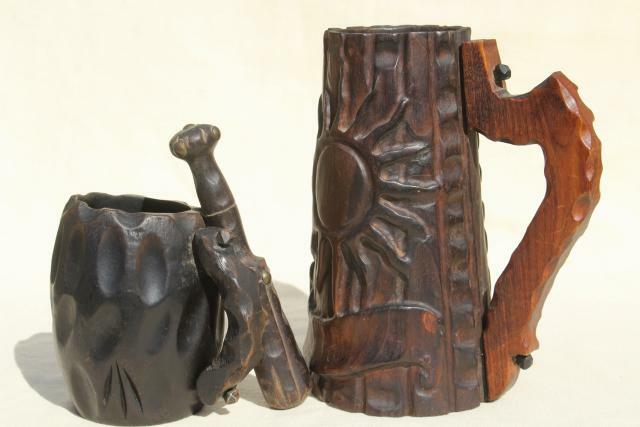 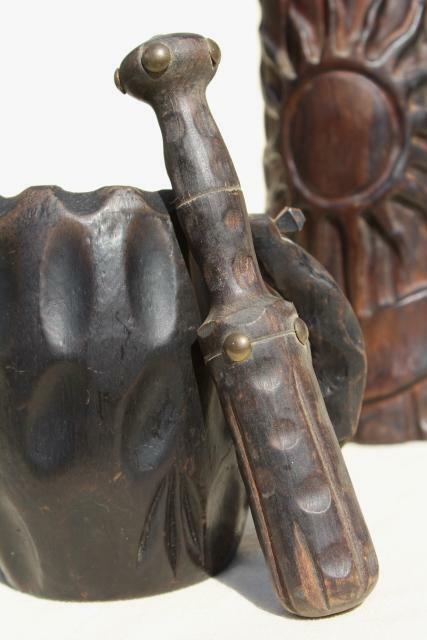 These have a great rustic look, with heavily carved designs. 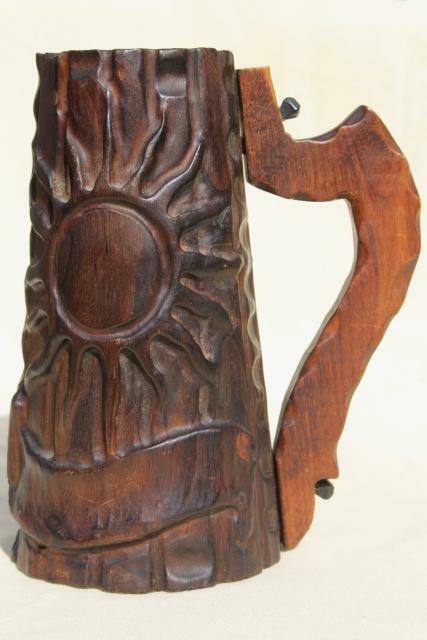 The tall beer stein measures 8" tall, the mug is about 4 3/4" tall. 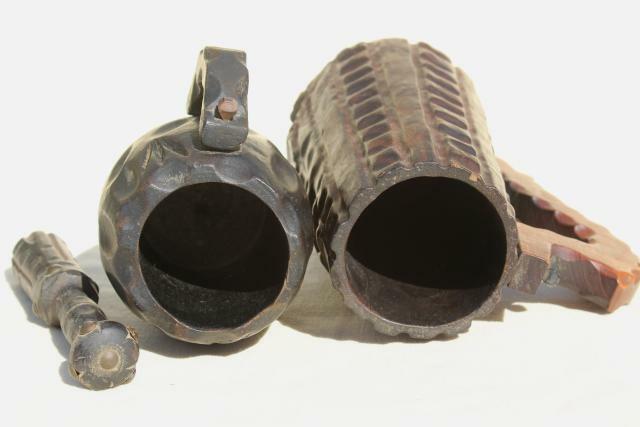 These are a little dusty from display, but I don't believe they were ever used.